Most Americans never seems to realize how much they lose over late payments for their credit cards. They will only realize when the credit card companies fights with them over their interest rates. Personally I have been a victim of being charged high interest rates over just one late payment. My credit card company doubled my interest rates and piled huge fees on one late payment that I forgot to clear. After realizing the hidden fees, I closed all my credit card immediately. I was really shocked to see how much iam paying in interest. That was in 2003, and since then, am living without credit card. People fear credit card because they equate them with debt. I know operating in a world without credit card is a challenging task, but you’ve to let that fear go. Do not have a mentality of spending now and dealing with consequences later, that attitude will inconvenience your ability to manage your credit card as well as your cash flow. Once you’ve a blueprint on how to manage your life without credit cards, then it will be easier than you think. Well, in this content we’ll discuss epic tips that will help you live without credit cards. 2. Apply for another balance transfer credit card i.e. look for a credit card that has a zero percent introductory APR as it will help you get rid of all your other cards. 3. When you run into financial emergencies, credits cards are helpful, but you should make sure your saving account is fully funded and stable so as to avoid embarrassment. Since life is unpredictable, I’d encourage that you continue to pump your emergency fund account. You should set a saving account for emergency as this will help you curb spending temptation. 4. The big mistake I did was to cancel my credit account, this was because I dint have the urge of using them unfortunately my credit report had a major impact. Before you forgot to cut your credit card, make sure to analyze your credit history. Don’t cancel all your credit cards, just stop using them. Here’s quick roundup of 51 Ways to get out of Debt. 5. Pay off all your credit cards so as to limit your debts. 7. Start a home based business or an offline business that will consolidate your investments. But before you start any side business, you need to evaluate best business that will earn you stable income. Here are a few things you can do to boost your income. 8. Get a secured credit card because they a lower limits. They are best suited to people who do not want huge debt but still need a credit card for their credit score. What i like about secured card, is that it will help you keep your credit ratings up while diversifying your credit portfolio. If you want to make a plane reservation or rent a car or pay for concert tickets, secure card can still help you do that. 9. After I cancelled my credit cards, I wasn’t concerned with my credit history that was until I applied for a house mortgage and was rejected without sympathy. When I checked my credit card report, I found out it had dipped. Before you cancel your credit card make sure to track your credit score consistently so as to rebuild your credit with other loans that you might took. 10. Engage the services of credit report monitoring services to help your track your credit score and protect you from identity theft. 11. Get a credit card that pays you cash back and use it just like a normal money. Buy what you can afford and what you need. 12. Pay close attention to your credit card balances so that they do not get out of control. It will be a convenient way of paying bills. 13. Set up a health savings account which will help you save pre-tax money for out-of-pocket health care spending. 14. If you’re an outgoing person, then I’d recommend that you open a holiday or vacation savings account and give it a nickname so you know the purpose of the account. Once you succeed in living without credit card, you need to figure it out how you’ll pay for things. Below are some of the 6 ideas that you should develop. a. Tie your account directly with PayPal. This is because most online retailers accept PayPal as a way of payment. b. Have a check a book that will help you make payments as most retailers still accept cheque. c. Remember to track your cash spending, but do not carry too much of it. d. Before you load money into your pre-paid card, make sure you check their charges fully before you end up paying high fees. e. Before you get your Debit Card, I’d suggest you read their Terms and Conditions so you know that you’re protected from unauthorized charges otherwise your bank will be fighting with you on late payments. f. Take advantage of layaway this is because many retail stores still allow you to hold an item until the payment is paid in full. If your credit score is dropping because of poor credit card report, then you should check with your bank account manager and agree on how to improve your ratings otherwise, your history could hurt your chances of getting a house mortgage or any personal loan. It’s not impossible to live without credit card, so many people are doing it and they are having a free life without debts. The only thing that you should do is by being discipline with what you do with your credit card. If you want to get rid of credit card completely, then you should implement the above epic tips and you credit history will be positive. About the Author: Bill Achola aka (BillyBoy) is on a mission to help good people to make a lot of money on the internet they deserve. If you’re one of them, check out his popular blogpost about earning money online (surprise!) Looking for 24Option Review?. On the next issue Bill will talk about 15 Major Warning Signs You’re Becoming a Retiree, stay tuned. SB’s Thoughts: I use 4 different credit cards. They are all reward cards and I use them in such a way that I always get the maximum reward available. If in a gas station Chase giving more cash back than Bank of America, I use Chase there. Yes, I always pay my balance in full every month. So, using credit cards are beneficial to me. But, I am fine with Bill’s opinion here. Going by the sheer amount of credit card debt burden, I do feel that if you can’t use credit card properly, you shouldn’t use it at all. Hey Mark Ross thanks for the appreciation. Definately the tips will guide you when you get your own credit card. 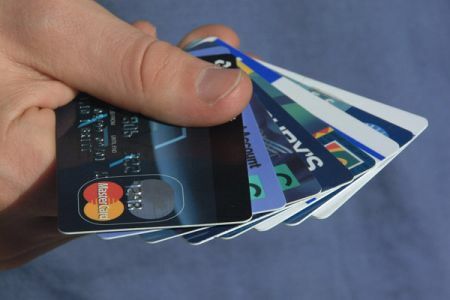 I think you point at one crucial point that people make when they go cutting up all their credit cards, knowing how it will affect your credit score. Most people don’t get into debt overnight, its a process and so is digging yourself out of it. It will take planning, discipline and consistency. Hey Jeremy thanks for the added advice. Personally i love discipline and that’s what will determine our will to pay off debt. I’ve been using credit cards since last 5 years. Fortunately, I’ve never delayed my bill payments and haven’t paid a single cent over interest payment. The best policy is to switch to debit card if you think that you are too extravagant. Switching to debit card helps a lot. Thanks Man! I have a really big issue with the point about starting a business. Not just anyone can run a business successfully, and it should never be be cominged with personal assets. A business is business purposes and personal accounts are for personal accounts, plain and simple. And thinking that starting a business is going to magically solve your personal financial problems is both foolish and wrong. Your bank personnel may have no clue as to what can impact a credit score. Even the folks in the loan department are only knowledgable regarding bank products and not necessarily educated on credit issues. They’re essentially sales people not credit counselors. Layaway is a ripoff is there is a charge. Not unlike credit cards that charge a late fee. You’re still paying more for something just in a different form. Besides, how important is the item if you have to take 3 months to pay it off and then actually get to take it home? I need further clarification on #14. You suggest that outgoing people should have a holiday or vacation savings account? What about introverts? I want to save too! Hey its a tried-and-true methods just like putting your change in a jar or putting cash in envelopes labeled for each savings goal. It depends how you’ll run your business and how you’ll articulate your business profits. Layaway is a flexible way to pay for your items and it has no service fee like credit card companies. I would add funding a 3-6 month emergency fund to your list. By having cash on hand to handle emergency expenses you can limit the need to use credit. Using credit cards responsibly is important to building a solid credit history and you should not be using them to fund a lifestyle you can’t afford. Living without a credit card is not impossible. In fact, it is a logical alternative for consumers.Cancel your cards an you do not have to worry about high interest rates, credit card bills and impulsive shopping. Its possible but it will depend how you manage it alternatively, why not swithc to debit card?